Should French railwaymen during the Second World War be viewed as great resisters or collaborators in genocide? 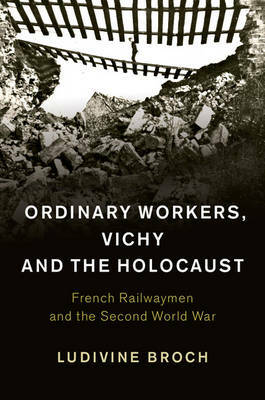 Ludivine Broch revisits histories of resistance, collaboration and deportation in Vichy France through the prism of the French railwaymen - the cheminots. De-sanctifying the idea of railwaymen as heroic saboteurs, Broch reveals the daily life of these workers who accommodated with the Vichy regime, cohabitated with the Germans and stole from their employer. Moreover, by intertwining the history of the working classes with Holocaust history, she highlights unexpected histories under Vichy and sensitive memories of the post-war period. Ultimately, this book bursts the myths of cheminot resistance and collaboration in the Holocaust, and reveals that there is more to their story than this. The cheminots fed both the French nation and the German military apparatus, exemplifying the complexities of personal, professional and political life under occupation.